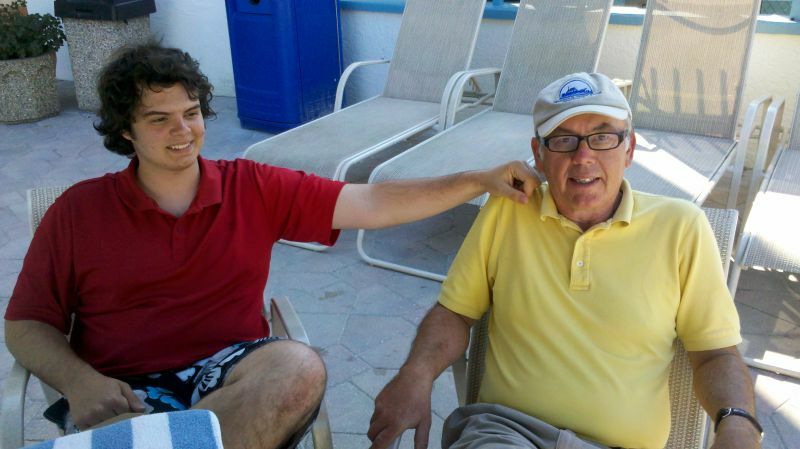 I have been to Captiva Island twice before — once as part of a sales meeting and once at the tail end of a market research project. So both times I was physically there, but mentally at work. 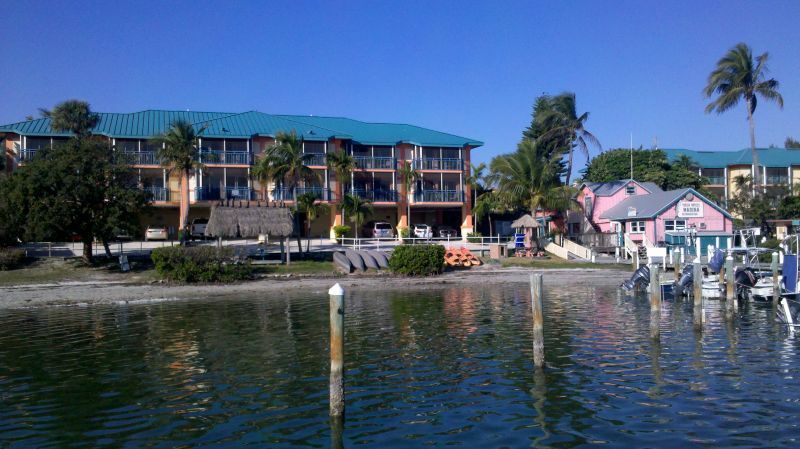 This time I couldn’t remotely afford Captiva’s crown Jewel, South Seas Plantation, so we wound up on the boat at funky Tween Waters Resort and Marina for a grand total of $91 per night, all resort amenitities included. 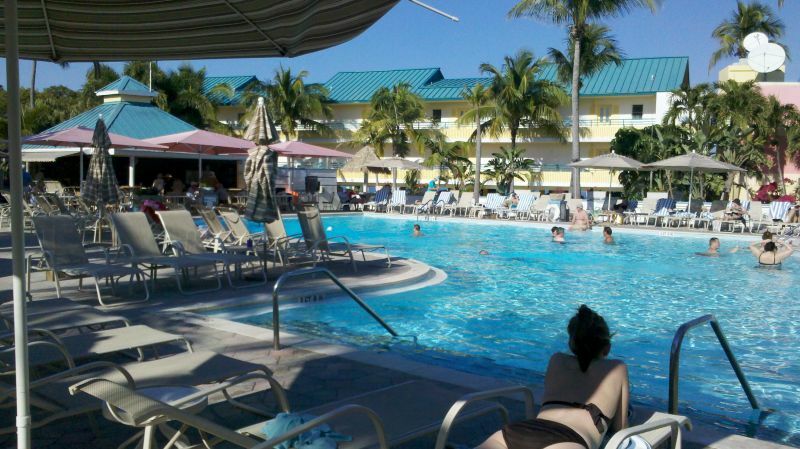 It’s really quite nice — good pool, good restaurant, friendly staff. 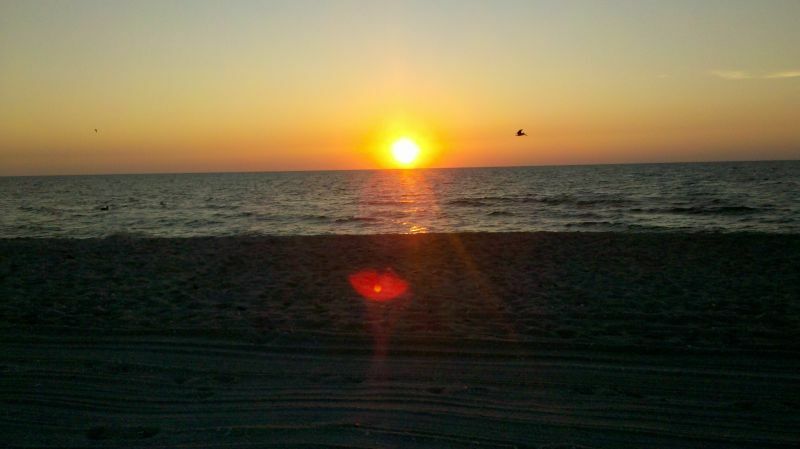 And of course, right on one of the most beautiful beaches in Florida and a half mile from Captiva village. A lot of things make Captiva uniquely attractive — it’s the furthest of a long string of islands and a long haul from Ft.Myers, so no daytrippers. 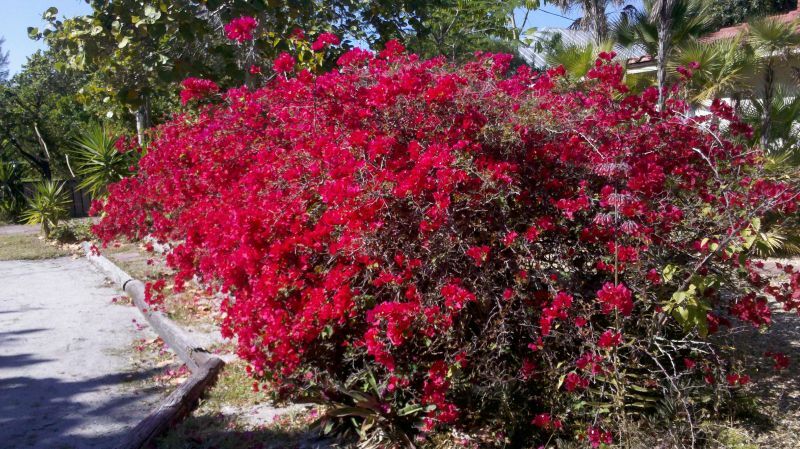 It’s just far enough south to be tropical, so the flowers and vegetation are beautiful and the weather never really cold. And it has a sort of tasteful class, for the most part, that so much of Florida lacks. 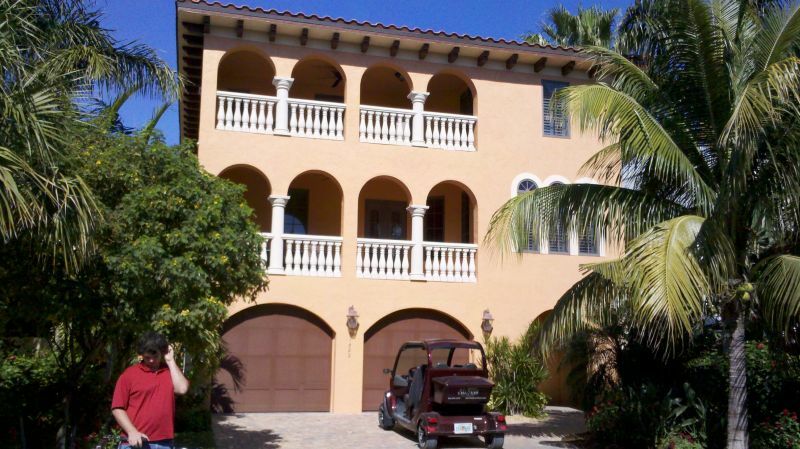 It’s small and has been developed for years and years, so I think the residents and developers tend to preserve and improve rather than build the latest over-the-top 40,000 square foot mansion a la Naples and Marco Island. Captiva is known for its restaurants, and although we went totally tourist at the Bubble Room (antique toys everywhere, always Christmas, waiters in Boy Scout uniforms, decent seafood) I saw I half-dozen places I would not hesitate to try. You can walk or bike anywhere, no car needed, and in fact, cars are discouraged in favor of golf carts. 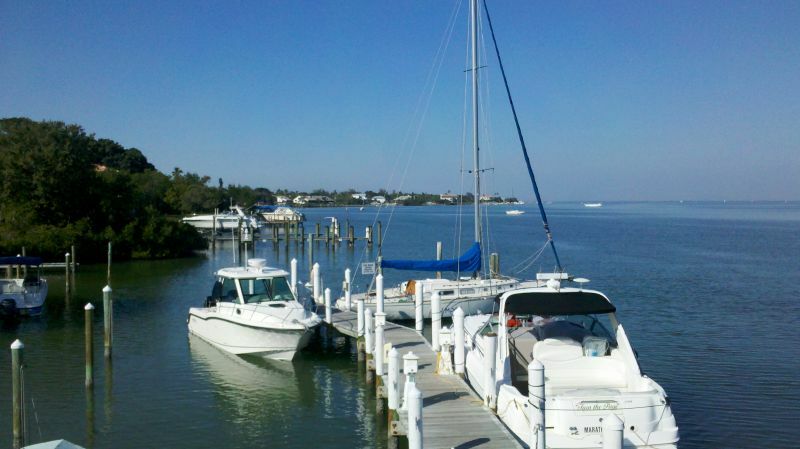 One of the Loop’s best-known bloggers, Betsy Johnson, says the test of a really good town is when she turns to her husband Rick and says, “You know, we could live here, let’s move.” Captiva is on that list for me, and if I could afford it, right near the top. View of Pine Island Sound from Memsahib’s berth. 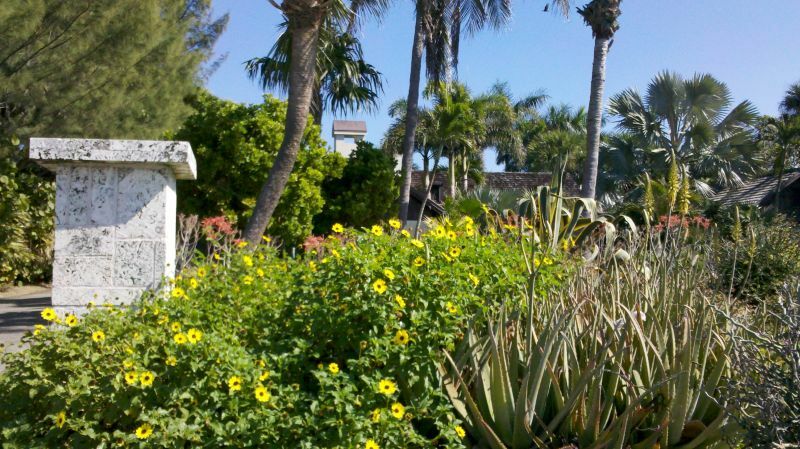 Captiva has enough rain (and money) to support wonderful tropical landscaping. Joined the crowds on the beach every night looking for the Green Flash, but didn’t see it. Good sunsets, though. Central Captiva has a very Mediterranean feel. Molly, this color is terra cotta.